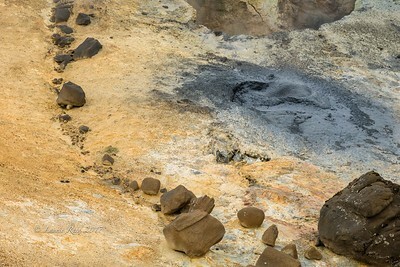 Details on the ground and in the purplish-gray boiling mud pot. 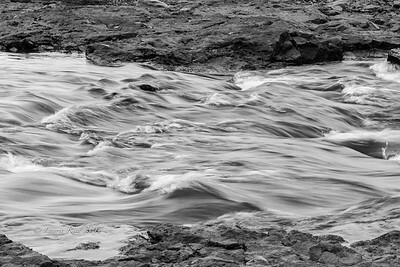 I liked the curved line of rocks and pebbles, showing where water has flowed in the past. 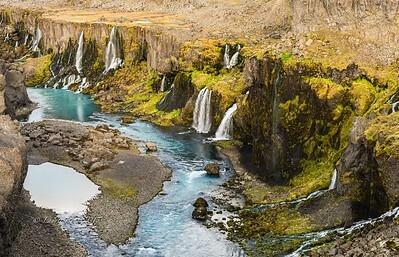 This is a spectacular canyon and Haifoss is only one of several water falls visible here. 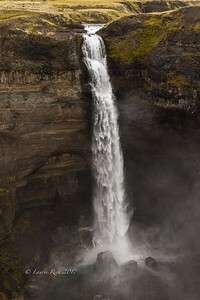 Haifoss is about 100 m high. We could walk right to the edge of the cliff. Note the two white-gray objects in lower left--they are highland sheep. 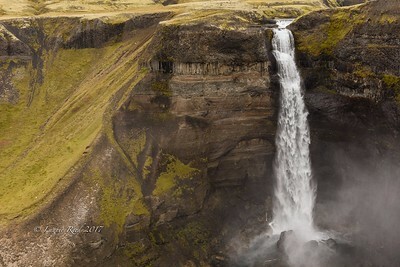 Haifoss is located in the south central highlands, north of Mt. 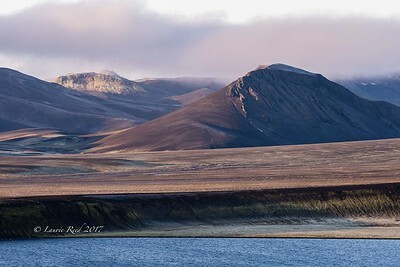 Hekla. 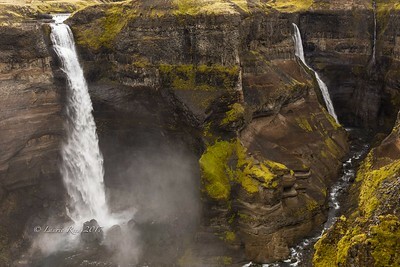 A remote but absolutely spectacular set of waterfalls in a canyon in the southern highlands of Iceland, north of Mt. 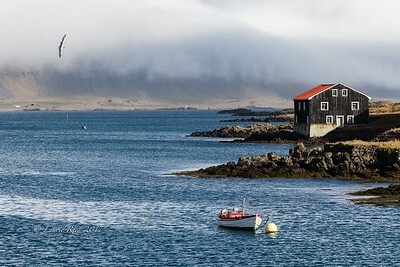 Hekla. It was drizzling the day we were there, but I don't think we really noticed! 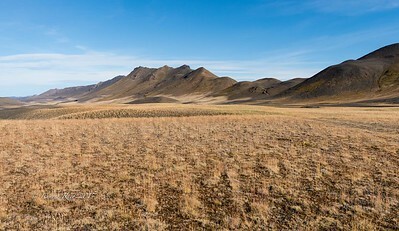 Note the small group of white sheep in the center right. Note the person in the red jacket in upper right. Standing on the edge of this canyon was a humbling experience. The white flowers in the foreground are a form of cotton that grows wild. 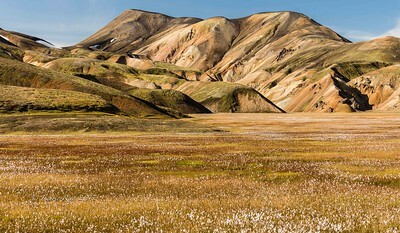 Note the white and black sheep near the base of the hills. We were there on a perfect day. 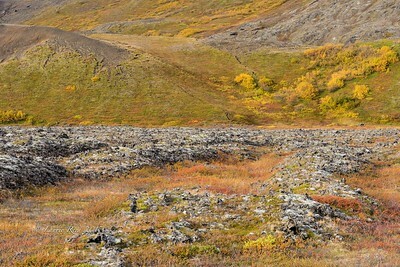 See the three hikers near center left? 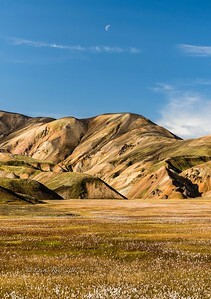 The colors of the hills were spectacular. 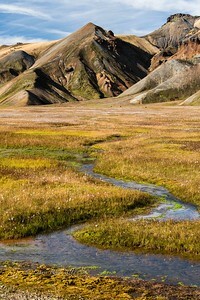 A small stream winds its way toward volcanic rhyolite hills. 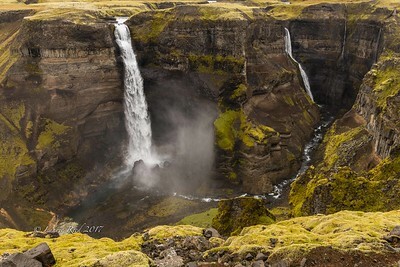 For the life of me, I can not remember the name of this spectacular falls. 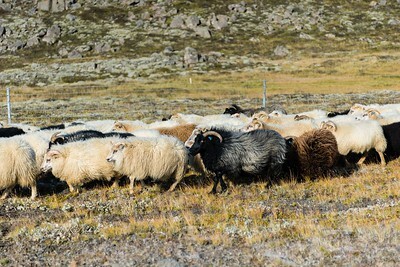 5000 sheep flowed around our vehicle when we unexpectedly encountered this round-up just outside Fluðir. I wanted to capture a group that would nicely illustrate the different colors of their wool. 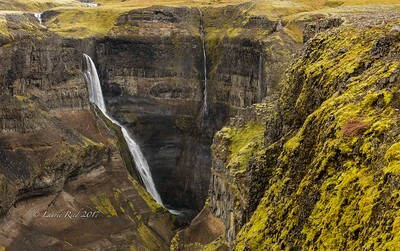 This beautiful waterfall was packed with visitors and it was essentially impossible to get a full view without getting people in the picture. So I opted here for a shot of some details. The colors were less important than the details in the tumbling water. 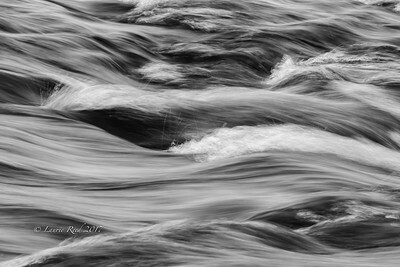 I've always liked to play around a bit when shooting water. 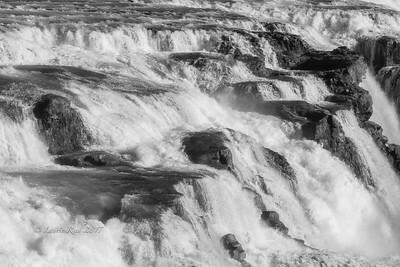 In this image, the colors were otherwise unremarkable and so the details stand out more when seen in black and white. I like both the silky areas and the splashy bits. A much stronger image in black and white. Looks inviting, but really isn't. 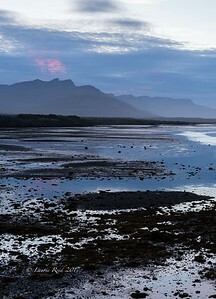 The wind was blowing hard this chilly morning at dawn and the air was thick with the smell of sulfur. These colors were just beautiful. 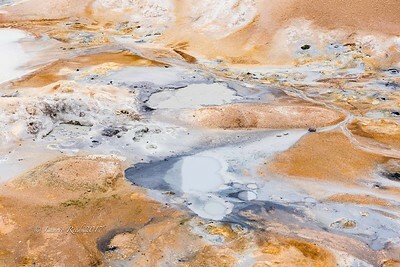 The pools were always in motion, either bubbling or flowing. 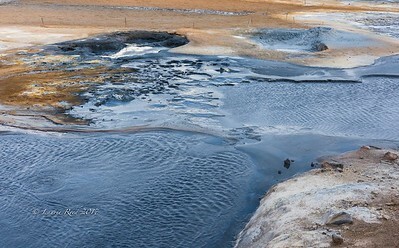 This is a three-element panorama. 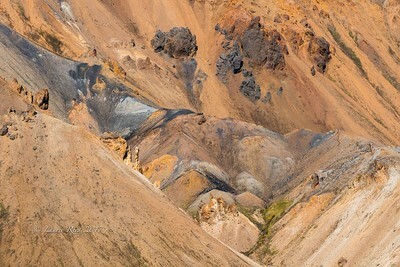 I liked both the play of color with the lava rock in the foreground, and the multicolored bowl in the side of the hill. 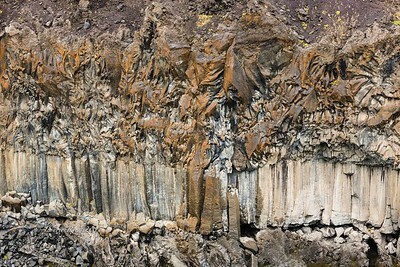 Whether columns form in volcanic basalt apparently depends on how the basalt cools. Although I originally thought this might make a nice black and white image, I decided I liked the color play here. This was the perfect day to shoot these hills. 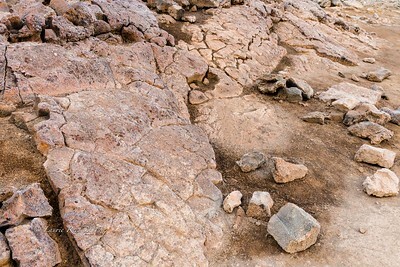 This is a four-element panorama. 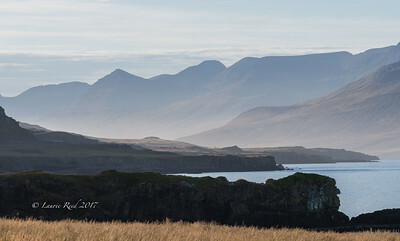 The shadows on the distant hill bring out the three-dimensional details. To the right of the lighthouse (off the edge of this picture) is a small island containing a busy bird colony. I'll include that in an upcoming panorama. I liked all of the layers in this image. I liked all the different shades of blue here, with a touch of pink here and there. This is probably my best aurora shot of the trip in the sense of aurora structure. I did not, however, get the stars perfectly focused. It was harder than I thought to properly focus at infinity--not just a matter of cranking the focus dial all the way over. Much more subtle than that. This was photographed with me wearing a nightgown, slippers and bathrobe in temperatures not too much above freezing. 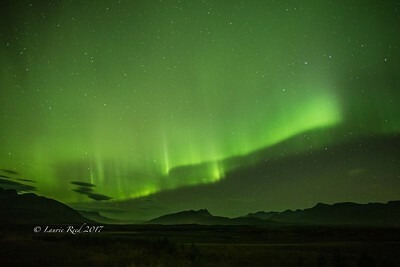 Most of us had put our gear away and gone to bed for the night, only to be awakened by Rod's call, "Pretty decent aurora out here". 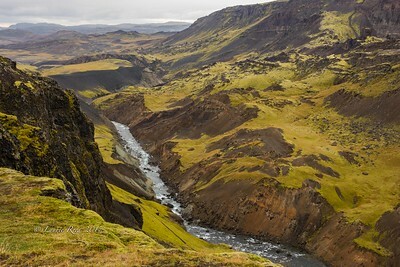 Our guide, Haukur, said to me, "Try to get a gull in the upper left of the scene to balance it out." Easier said than done! This was my best of about 25 attempts.